Pam currently serves on the Solar Sister Board, the University of Texas Jackson School Advisory Board, the Bush Center Executive Advisory Council and is the Houston Area United Way Loaned Executive Chair. 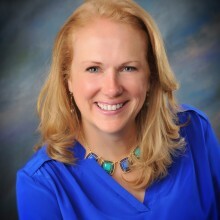 In 2010, she received the BioHouston Women in Science with Excellence Award and in 2011, Newsweek named her as one of the “150 Women Who Shake the World.” Pam holds a geology degree from Colgate University and a Master’s degree from the University of Texas at Austin. Pam and her husband live in Texas and have three children.